At Brewtal, our goal is pretty freakin’ simple. We want to take everything that is awesome about the good beer world and filter it through a Boss MT-2 distortion pedal, hardwired to two Marshall stacks straddling a tank full of the finest water, malt, hops and yeast one can sell their soul for until nothing is left but grim, glorious, uncompromising and unrelenting ale. Even more simply put, we brew beer. We brew the beer that we want to brew. We brew for fun, we brew for community, we brew to challenge and we brew to learn. We don’t own a brewery – we borrow our friends’ instead. Our batches are small – and that means our prices may not be cheap. We might brew for the season, or we might not. We might change the recipe from batch to batch, depends how we feel. 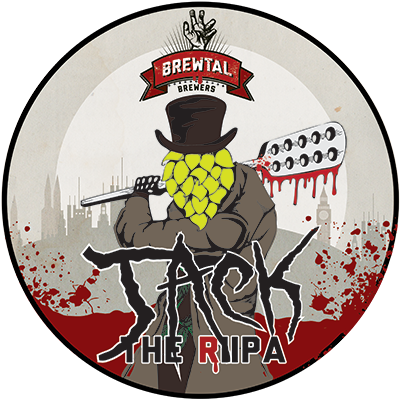 One thing is guaranteed though – our beers will be full of flavour, fun, and a little bit of fear. We hope you enjoy them. The brews we like mashing in the most. Too right, this jet black beer with a dark brown head charges bleedin’ well hitting you with dark chocolate and coffee on the nose. It’s not here to make love to spiders, so backs that up with a thick mouth feel with bittersweet dark chocolate and espresso. You better be damned sure it finishes richly with a frigging solid hop and roasty bitterness, making for a bloody good stout. 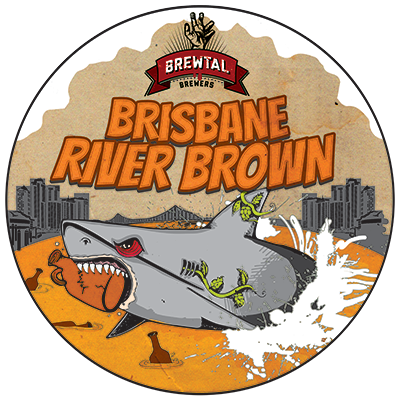 Lurking unsuspectingly beneath the murky waters by the Brisbane City, this brown beer with an off bone white head smells of stone fruit, citrus, pine, choc caramel malt and danger. It sneaks up with a nutty, choc malt and dessert cake fruitiness before dragging you under the water for a medium dry, sweet and satisfying bitter end. Reddish amber with a cream coloured head, this killer double red strikes with tropical and citrus aromas. The body at the scene of this murder has a dry, biscuit malt character with tropical fruit, pine and citrus flavours as clear accomplices. A dry, smooth bitterness lingers at the crime scene. Tropical fruit and pine aromas melt into a biscuit malt chorus. A double kick breakdown of piney, earth and cirusy hops build to a slow fade with a smooth, late bitterness. 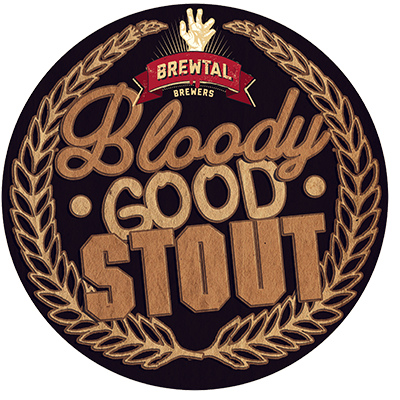 Where can you find Brewtal Beers? For now, our beers are seasonal and draft only. This means when we release a beer, you can be assured to find it on tap in one of Brisbane’s finest drinking establishments, but only for a limited time. 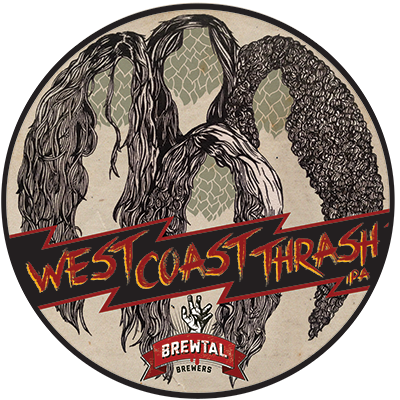 You can almost always find our beer at the base lair of Brewtal Brewers, The Scratch. Outside of the four main seasonal releases, you can expect to see limited runs of old favourites, experimentals and one off batches pop up throughout the year. Follow our various social media streams to stay on top of our one-off releases, and for other grim updates, live action shots and metal claw action. How can you contact Brewtal Brewers? By using the form right here ya dingus!